I’m often asked, “Does mediation actually work?” More often than not, people who are getting divorced end up with a negotiated settlement, having successfully mediated some – or even all – aspects of their divorce. In my experience, even when both litigants start the process saying, “We cannot reach an agreement, and we’re going to go to trial,” they find that, at some point in the trial, one party says, “I can’t do this anymore,” and the result is a negotiated settlement agreement. That is really a product of mediation, so yes, mediation can – and often does – work. I go into every mediation with those three thoughts in mind. 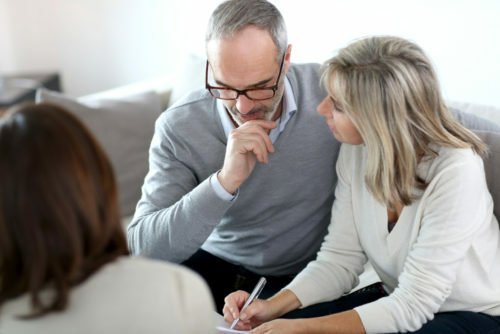 At that point, my client has reviewed all of their soon-to-be former spouse’s documents, and we’re making informed decisions based on the parties’ marital finances. We’re going in with our A, B, and C options ready, looking toward reaching a settlement somewhere on that spectrum. Mediation can work with collaboration among attorneys, a mediator, and parties who go into mediation with an open mind, knowing that any agreement they reach will be far more beneficial for them – and for their children – than handing the decision-making over to a judge. Do you want to know how mediation can help you in your divorce? Contact a Divorce Attorney like Tanya L. Freeman in Essex County for guidance.